Love the dress! It’s such a beautiful green color! 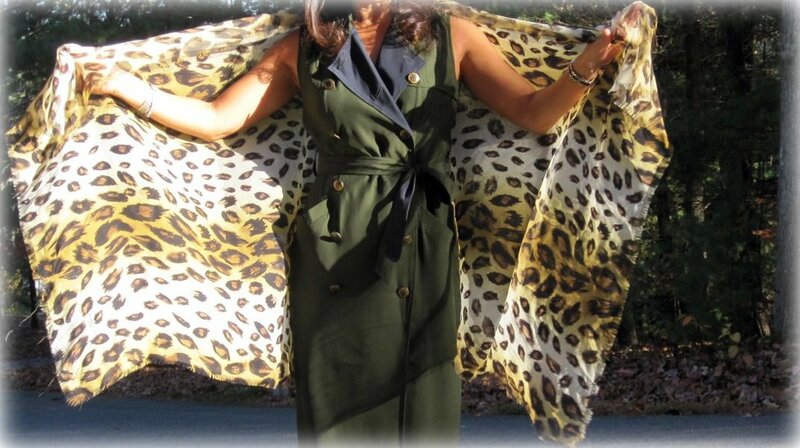 It’s the perfect complement for the leopard scarf! Thanks Sam! Would you consider writing/describing my outfits? All I could think of was “trench dress + scarf.” So sad…I’m so bad at this. Me too! 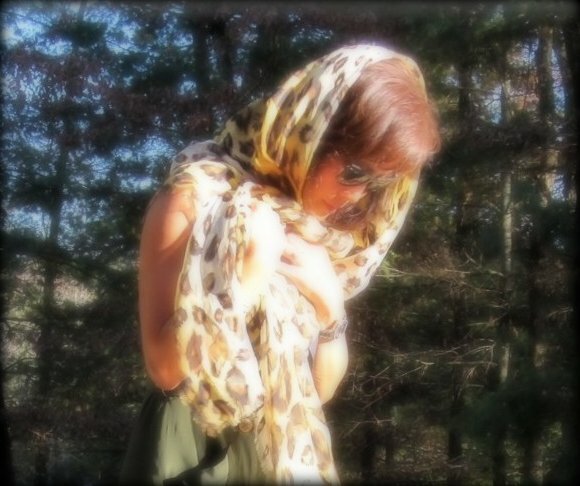 Jeanie makes a leopard scarf sing! Hi Jenny! You are just too sweet. 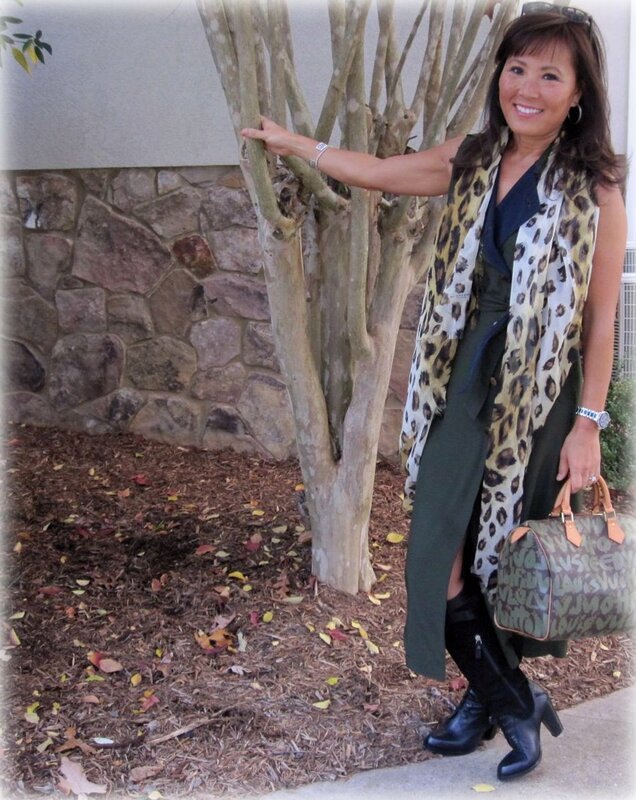 I hope I didn’t embarrass myself with silly poses with the scarf…trying to have a little fun, but it’s SO awkward for me to pose for pics. Ugh…. I can already tell that you’re going to be a very BAD influence on me and my credit card! You look fabulous! Haha..fair trade… you make me laugh and I’ll help you spend $!